This massive collection of 135 courses will make you a total pro when it comes to using the apps of the Adobe Suite. There are no apps designers want in their toolkit more than those of the Adobe Suite. 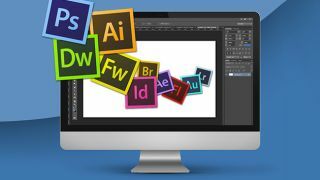 The Complete Adobe Suite Mastery Package will help you unlock the true power of these programs with a massive collection of courses to teach you the ropes. Get it on sale for just $49 (approx. £39) thanks to a massive price drop! If you're an aspiring creator, you'll definitely want to know your way around the Adobe Suite. It's the most powerful set of design tools around and the Complete Adobe Suite Mastery Package will help you make the most of it. In this bundle, you'll find 135 courses that will make you a master of Adobe's powerful artistic tools so you can feel confident in whatever you decide to create. The Complete Adobe Suite Mastery Package is valued at over $4,000, and was on sale for $99. But you can get this incredible course bundle for just $49 (approx. £39) thanks to a massive price drop! You won't find a bundle this cheap anywhere else, so grab this deal today!